By entering your details in any fields requested, such as your name, email address, postal address, telephone or mobile number you enable Lacey's IOW Ltd to provide you with the service(s) you request or the information that you have asked for. We will only contact you as a result of a request from you, we do not provide any marketing or disclose your information to any 3rd Party. We use up-to-date procedures to protect your personal information. We also protect the security of your data using Secure Sockets Layer (SSL) encryption technology. We have appropriate security measures in place to protect against the loss, misuse or alteration of information that we have collected from you via our websites. The internet, however, is not generally a secure medium of communication and we cannot guarantee the security of any information you input on this website or send to us via the internet. GDPR stands for General Data Protection regulation. This is the law that applies to keeping your information safe. Previously this was covered under the Date Protection act 1998. Under the GDPR you have the right to access your information, request that it be deleted or altered and not shared. Lacey’s IOW Ltd will only gather and hold information necessary to our business with you. In providing our Removal and Storage services we will ask for information about you relevant to our services. This privacy notice describes the type of personal information we hold, why we hold it and what we do with it. • Personal details such as your name, addresses, telephone number and email address. • Details of any fees charged, the amounts paid and by what method payments were made. If you don’t provide us with personal data, we’ll try to provide the service, but it may be impossible. Mrs Lacey is responsible for keeping secure the information about you that we hold and ensures that our company complies with data protection requirements to ensure that we collect, store and dispose of your information responsibly. Secretary staff that work in Laceys IOW Ltd office will have access to all the information we hold about you. To provide our services to you we require up to date information about you. We do not share any information about you, unless instructed by yourself to do so. We will seek to ensure we contact you by the method that is preferable. This is usually by telephone, letter or email. *Should your service involve overseas shipping, your data will be shared in a secure manor with a 3rd party involved with carrying out this full shipment service. We limit the use of personal data to ensuring we deliver the service you have requested. Furthermore, we retain your personal data only for as long as is necessary to deliver you this service. Under certain circumstances we will retain your personal data longer if it part of an accounting record which we are obliged by law to retain for 7 years. Where this is the case, your personal data will be stored accordingly. After that, unless we need it for a particular investigation, we securely destroy records your personal data. Destruction of paper records is done securely and appropriately. In certain circumstances it may be necessary by law to give information to a third party not connected to Lacey’s IOW Ltd including HMRC or other law enforcement or government agencies. We store your information securely within a computer system and in a manual filing system. Your information cannot be accessed by anyone outside of Lacey’s IOW Ltd. Only those working with Lacey’s IOW Ltd will have access to your information. They understand the legal responsibility to maintain confidentiality and follow procedures to ensure this. We take precautions to ensure the security of the filing systems and computers. We use high quality software to record your personal data. You have the right to access the information that we hold about you and receive a copy. 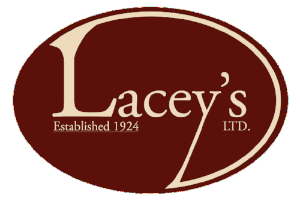 You should submit your request to Lacey’s IOW Ltd in writing or by email. We do not usually charge you for copies of the information. If we do pass on a charge, we will explain the reason for this. • Correct any information that you believe to be inaccurate or incomplete. • Erase any information we hold although for legal reasons we may be unable to erase some information. • Supply your information to another supplier. If you do not wish us to use your personal information as described, you should discuss the matter with Mrs Lacey by email amy@laceysremovals.co.uk. If you object to the way we store your information this may affect our services to you. If you have any concerns with how we store and use your information, please feel free to discuss this with Lacey’s IOW Ltd.